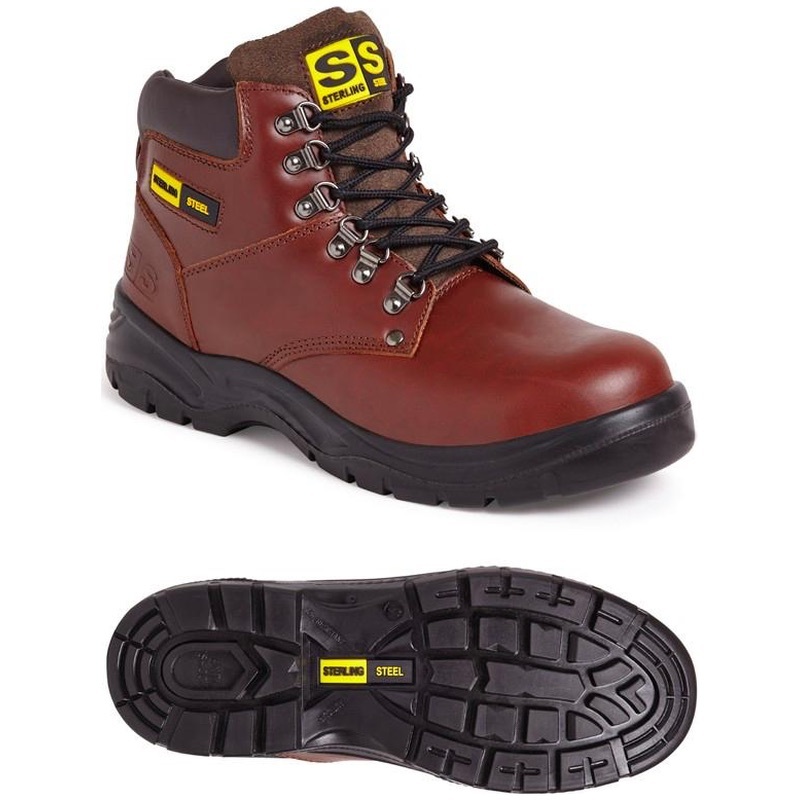 Brown full grain leather safety boot. Padded collar and tongue for added comfort. Steel toe cap and steel midsole protection. Dual density polyurethane outsole. Anti-static. A very popular traditional lightweight safety boot for most industries.